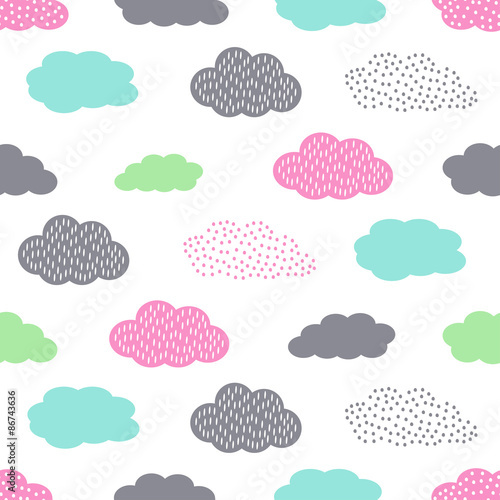 Colorful seamless pattern with clouds for kids holidays. Cute baby shower vector background. Child drawing style illustration.